I have been receiving a lot of inquiries recently concerning a book written by Robert Cornuke that is simply titled, Temple.1 The sub-title is, "Amazing New Discoveries That Change Everything About The Location Of Solomon's Temple," which reads like a Madison Avenue advertising slogan. The thesis of this book is startling. 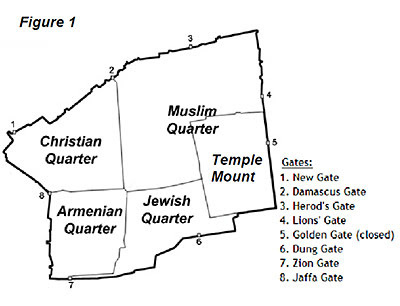 It asserts that the Jewish Temples (Solomon's and Herod's) were located south of the Temple Mount in the ancient City of David and that the entire Temple Mount was the Antonia Fortress where Roman troops were garrisoned. Before I take a look at his arguments in behalf of his radical thesis, let's take a look at the city of Jerusalem and its historical development. The Bible says that in anticipation of building a temple, King David bought a threshing floor to serve as its site (2 Samuel 24:24). The traditional, historical and archaeological views have been that the threshing floor was located immediately north of the City of David on a much higher elevation called Mount Moriah. It is the opinion of most biblical scholars that this area on top of Mount Moriah, called the Temple Mount, is where Solomon's Temple was built. Solomon's Temple was destroyed in 587 BC by the Babylonians who took the surviving Jews into captivity. Seventy years later, the Jews returned to Jerusalem and rebuilt what is known as The Second Temple. According to Ezra 3:10-13 this was a much less elaborate temple than the one that Solomon had built, due to the poverty of the returning refugees. Five hundred years later in about 20 BC, King Herod the Great decided to magnify the beauty of this temple. 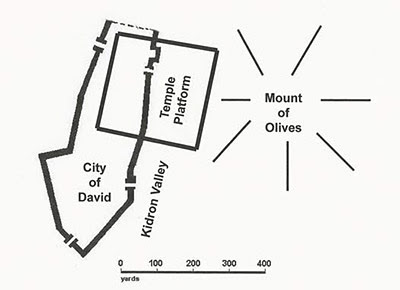 Part of his plan was to enlarge the Temple Mount platform. To do so, he built an incredible retaining wall all around the mount and filled it with dirt to produce a very large, level platform of 36 acres. The sacrifices continued in the Temple courtyard throughout this construction process, and therefore, Herod's Temple continued to be known as The Second Temple. Herod's Temple was destroyed by the Romans in 70 AD, and the Temple Mount stood vacant until the late 7th Century when a Muslim shrine, called the Dome of the Rock, was built by the Umayyad Caliph, Abd al-Malik. It was completed in 691 AD. It was supposedly built on the site of the Jewish Temple and was therefore considered to be a symbol of the triumph of Islam over Judaism. It was also considered to be a symbol of Islam's triumph over Christianity since it stood higher than the nearby Church of the Holy Sepulcher. 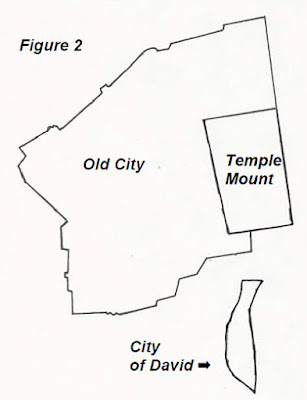 In the second segment, I'll analyze Robert Cornuke's claim that the Jewish temples resided in the City of David. 3) Galyn Wiemers, "Temple Mount of Solomon," www.generationword.com/jerusalem101/21-temple-mount-of-solomon.html.